I’m not sure I can think of any UK industry where almost every business is an individual or tiny team. As you plan your wedding, you’re bound to encounter the loveliest independent business people – and I really do love this about the wedding industry. 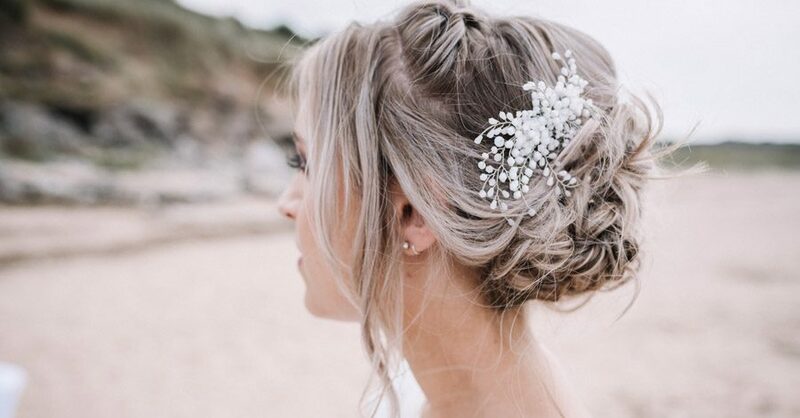 You may remember I wrote a feature for bridal accessories designer Clare Lloyd a few weeks back: this article is inspired by something Clare said. We spend our lives buying stuff: our everyday clothes, food, home decor etc. all come from huge corporations. Hats off to you if you frequent a little veg shop or buy second hand – but in the main our spendybuttons go to high street stores with massive, faceless teams of people in ‘operations’ and shareholders raking in the profits. 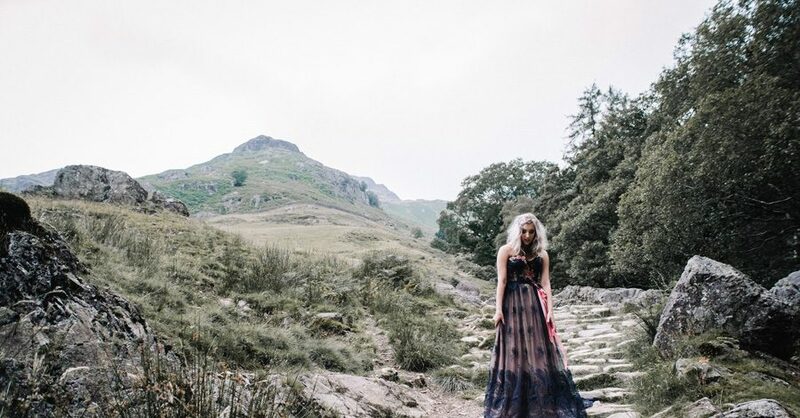 Last summer I styled an editorial photoshoot very close to home – as many of you know, I live on the edge of the Lake District and within minutes’ walk of the beach. When lovely Sheryl from Oobaloos Photography suggested we do a photoshoot here, I just couldn’t say no. 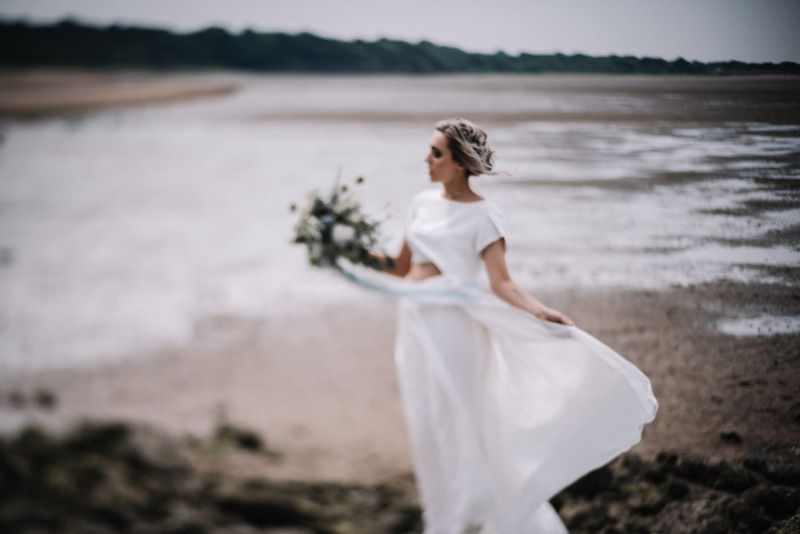 I’m a huge believer in letting your surroundings influence the style of your day, and my choice of suppliers to take part in the shoot was inspired by the wild beaches of south Cumbria – my favourite place in the world. Previously featured on Love My Dress blog (thank you lovely Annabel! 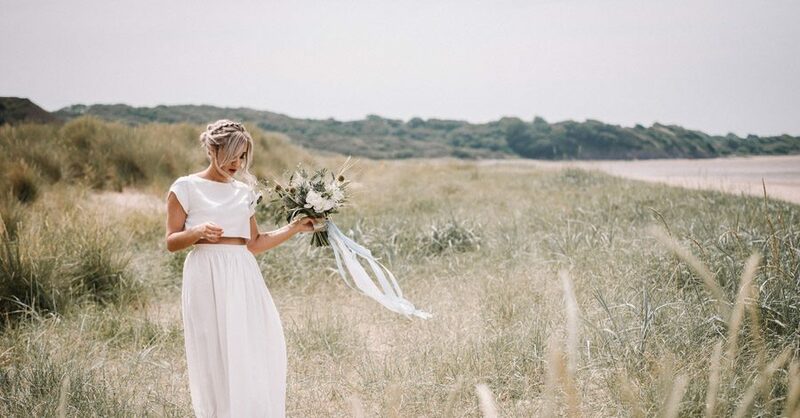 ), this shoot was designed to show you how to incorporate simple touches inspired by waves and the sea into your wedding day. 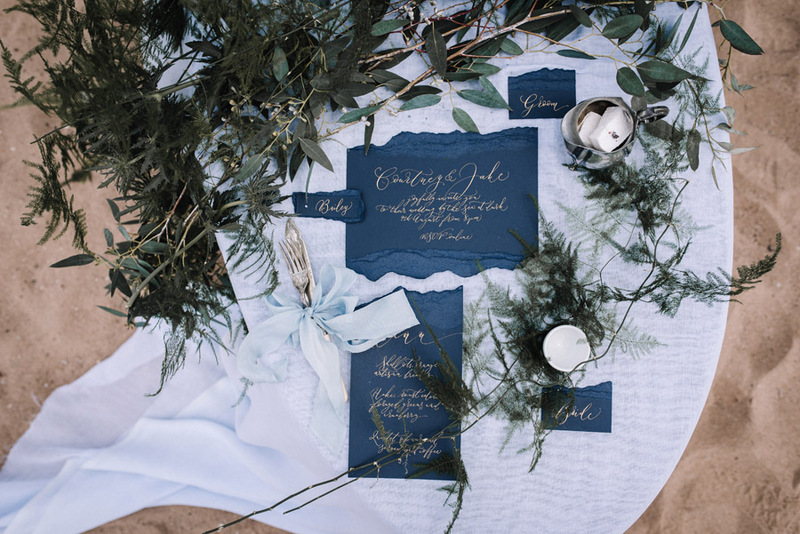 We styled a simple table with fabrics, foliage and calligraphy in lush blues and golds, with glassware from lovely Narrative Hire. 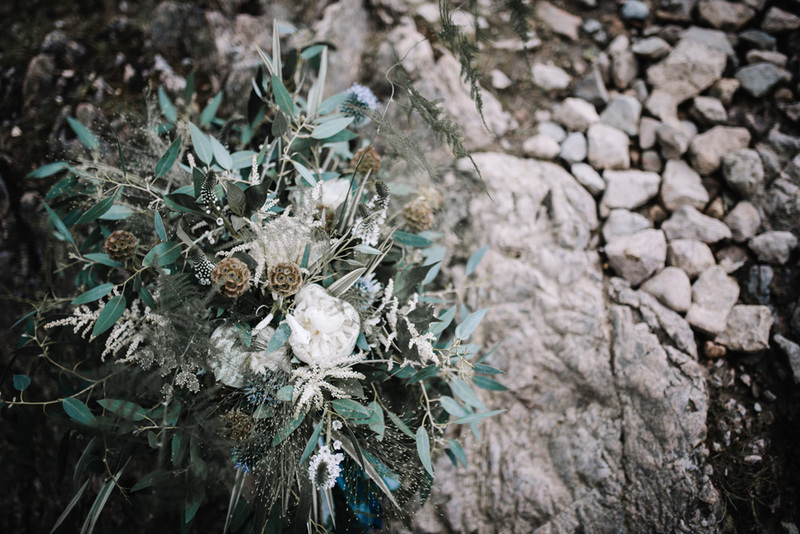 I met lovely Tracy from The Flower House at a styled editorial shoot last September – and she’s one of the friendliest wedding creatives you could hope to meet. Tracy’s talents with flowers are a joy to witness: her arrangements are thoughtful and beautifully arranged, with huge character and a fabulous contemporary style. They’re the focal point of today’s inspiration feature, which shows you how to style a bohemian wedding with rich tones for late summer. The images are by my lovely friend Jenny Heyworth Photography for Aspire Photography Training. Jamie at Vickerstaff Photography has been a friend of the English Wedding Blog since always. He’s a great guy – his photography is creative, artistic, just a little cheeky* and has a wonderfully dark aesthetic which I personally love. 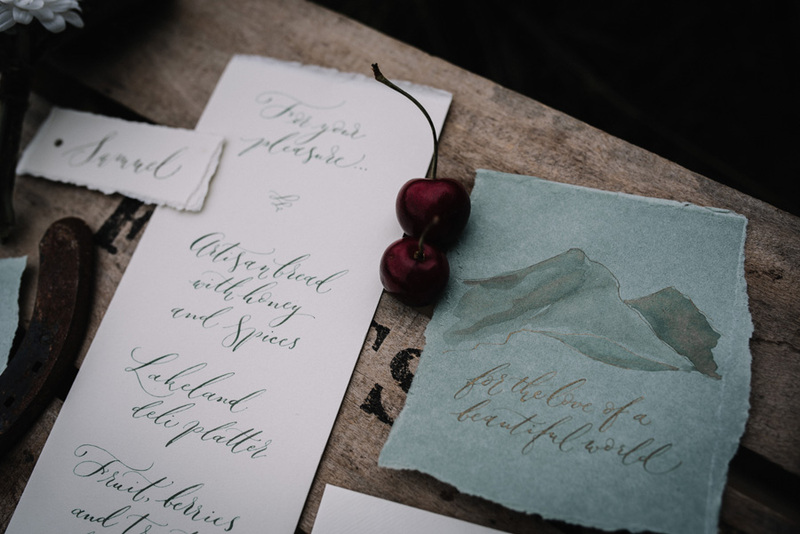 We work together pretty often – I write little bits and pieces of calligraphy; we collaborate on the occasional styled shoot (our last was featured on Love My Dress in November) and of course I feature his weddings on the blog whenever I can. *Jamie’s sense of humour is brilliant – and you’ll understand when you visit his website!